Oddfellow’s Fine Book and Collectibles address, phone, website, hours of operation, and more. 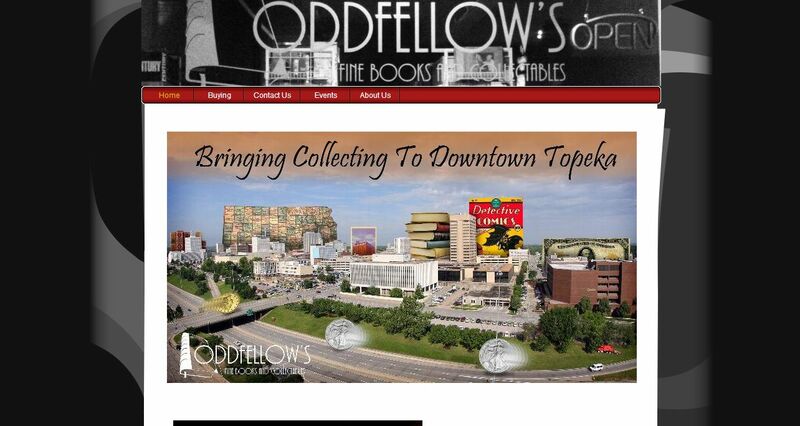 Oddfellow’s Fine Books and Collectables is located at 117 SW 6th Avenue and specializes in collectable books, maps, coins, postcards, comic books, ephemera and appraisals. Oddfellow’s offers a place to find the perfect piece to add to one’s collection along with comfortable seating and complementary coffee to encourage relaxation and conversation. Kansas and Topeka history is a favorite topic which is displayed in framed photos and maps for sale on the walls. Seasoned collectors as well as those who are interested in starting a collection are welcome at Oddfellow’s.